Pavestone sidewalks, Bradford pear trees and textured buildings of all colors lined every street. Eclectic clocks and old telephone booths graced every corner with antique flair. 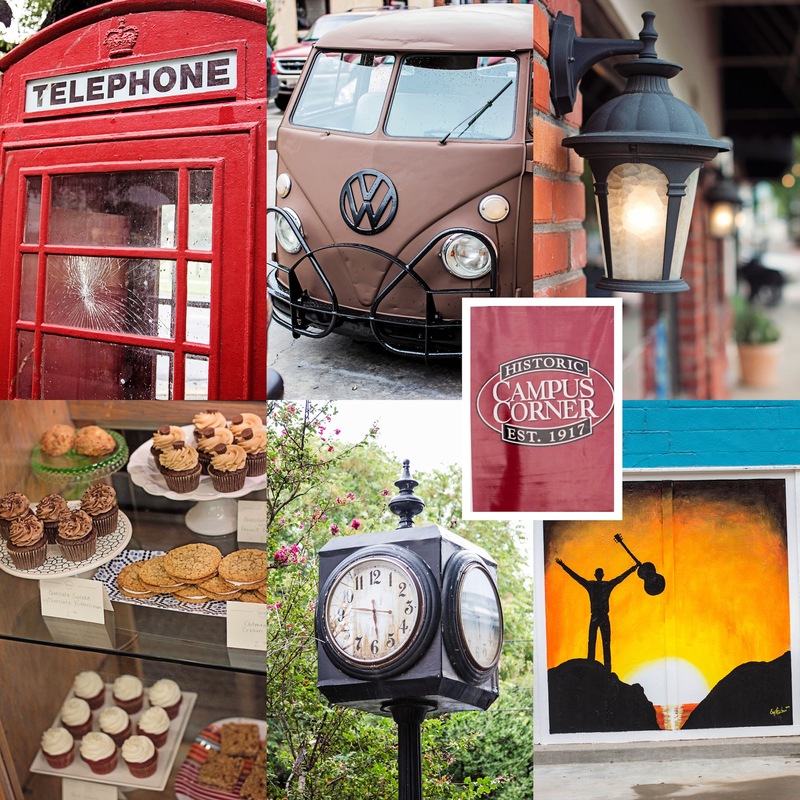 The perfect place to spend a Saturday morning, Campus Corner in Norman has something to offer for all kinds of people. Exploring the peculiar nooks and crannies of this center of commerce will not disappoint the curious college student. While the environment is not necessarily the best for long periods of studying because of the tense music, Gray Owl Coffee is worth a stop for a good cup of coffee. Visit Crimson and Whipped Cream for a cupcake and a quick stop at the photo booth to commemorate the moment. Whether you are a sushi lover, burger fanatic or Mexican food junkie, Campus Corner has a restaurant that will satisfy your craving. For all the football fans out there, the cookouts before Oklahoma University games would be the perfect getaway from campus and something to do without spending too much money. If people watching is a favorite pastime, this is also the place for you. While it is generally known to attract college students, the dynamic range of people is quite surprising and entertaining. Poking around the shops is a delightful experience as there are so many random things to look at. From the broad range of merchandise to the paintings and eccentric decorations on the outsides of buildings, this experience is sure to fulfill your expectations. Overall, I would have to give Campus Corner a thumbs up for capturing my interest and providing an inexpensive and entertaining day away from school. Next time you have an afternoon free or are bored when everyone leaves campus on the weekends, be sure to check out Campus Corner. Go to www.oucampuscorner.com for a list of merchants.